These Bolt black ankle boots have a 1 1/4 inch stacked heel and lace up front in mens sizes 4-14. 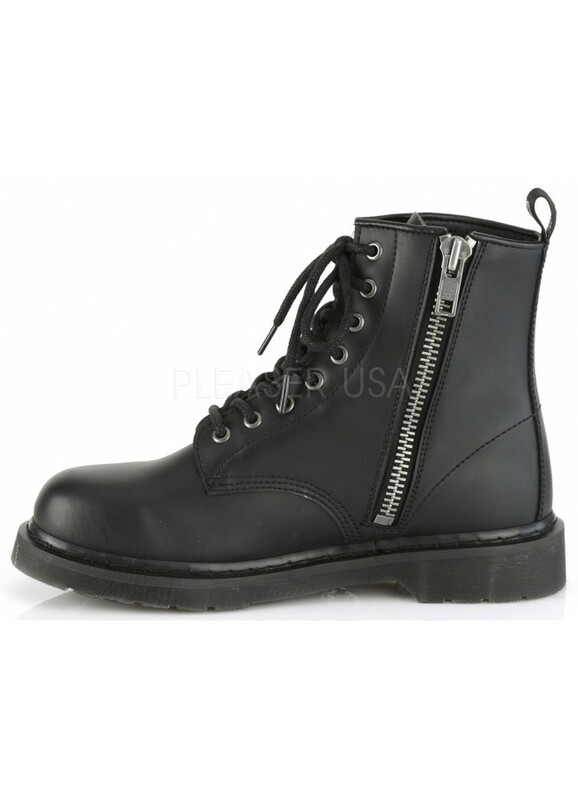 These black combat boots are ones you can live in! 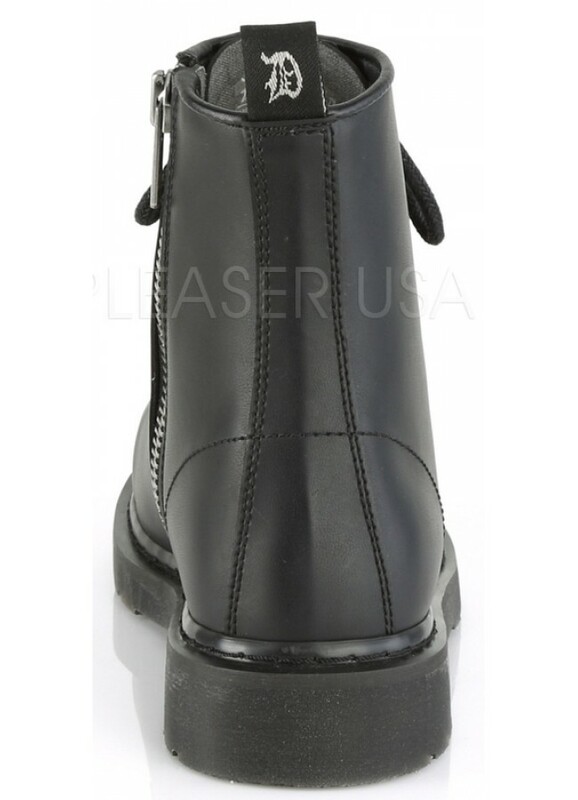 In economic, easy-care vegan leather, they have a 1 1/4 inch high stacked flat heel, back pull-tab with Demonia logo, and insider zip closure. They have 8 eyelets up the front to adjust the fit just so. Item Number: PL-BOLT-100 | Approximate Size (Inches): 10.00 wide x 12.00 deep x 4.00 high | Approximate Shipping Weight: 2.50 lbs.